Every day I work with so many different people from all walks of life, who all have different backgrounds and very different goals. Each has an opinion and generally most become rigid in their habitual ways. This is especially true when it comes to my favorite subject nutrition. It’s so true that old habits are so hard to break, but even more so when we do try to break them very often it’s the good habits that are broken and the bad ones that stick around. I get bombarded daily with questions around dieting, nutrition, supplements, racing and training and the list goes on. I don’t mind the questions at all as this is what I do, I guide people, I make sure they are on the right road, and if for some reason that road hits a fork and they take the wrong route it’s my job to get them back on track. When it comes proper nutrition most people seem to know best that the way they eat is spot on. However it doesn’t matter whether you are a pro athlete or not I can say one thing for certain that we all get it wrong. There is no such thing as perfection in a diet, it’s a lifelong road with many forks, turns, bumps and hills. It requires constant attention, tweaking decision making and this is based on so many factors that face us daily. As we age our requirements are also going to have to change drastically because our body’s change so we function differently and we need to cater for those changes. There is definitely no one fits all nutrition solution it does not exist unfortunately. Each and every person is unique and has completely different needs. One of the biggest waves of nutrition globally at the moment is the move towards a paleo oriented diet meaning a move away from modern foods and grains to more natural animal and plant based eating. It’s no secret I am very much an advocate of this type of eating however due to my athletic lifestyle I need to truly be careful of what I ingest to ensure I can stay healthy, maintain my lean body mass and still perform. Many people who switch to a low carbohydrate higher fat, protein consumption forget to take into account that it’s a completely different method of eating than what they were previously used to and it can take a period of adjustment. Unfortunately society has embarked on this search for the golden pot at the end of the rainbow, the quick fix and if the results don’t come hard and fast then it leads to disappointment and the perusal of a different path. There is no silver bullet and it’s a hard blow when it comes to following a nutrition plan for many weeks and not getting the desired results you hope for. Well the truth of the matter of a Paleo diet or an LCHF (Low Carb High Fat) diet is that in actual fact they can work and work very well BUT only if you are meticulous about watching what you eat quite carefully and monitoring it regularly. I often see people going onto this type of eating plan with the opinion that they can eat as much protein and fat as they want, cut the carbs and they are on route to a whole new level of body shape fitness and health. Unfortunately it just doesn’t always happen and leaves them going back to their old bad habits. Adopting a new nutrition plan should not be an overnight switch from your previous type of eating to the new one. I always advocate a gradual transition into a new type of eating. This means small changes at a time and over a period of time. So you want to go the LCHF route? Great but not so fast. The first thing is to look at your current eating routine and I don’t mean guesswork here. I insist my clients write down a food journal over a weekly period, I want to see exactly what they are eating and drinking from the time they wake up in the morning until the time they go to sleep at night. Most are quite shocked by what they put on the piece of paper, because when we eat the mind has this funny thing of not remembering exact foods and tastes, it’s usually an emotional period of enjoyment which we tend to forget until we actually see it in black and white. There is no point in taking note of a meal on its own you need to understand the timing as well, both are vitally important, especially if you are an athlete and need to fit in meals around your training regime as well. Next is to cut out the bad. I don’t mean do this overnight. If 80% of your diet is bad and you immediately cut that 80% what are you going to put in its place? I mean slowly replace the bad with some good health options. As an example if you eat processed oats, then go with a wholegrain or rolled. If you eat wheat bread then switch to a 100% rye. “But that’s NOT LCHF dieting, you still eating grains!” I was shouted at once. “Seriously? I didn’t know that”J. There are not many people in this world that unless they have incredible determination and willpower will be able to make the switch overnight. Also I need to say this, if your current eating regime is unhealthy and a mess then no drastic changes will work for you. If you want to adopt a proper sustainable way of eating, then get the meals healthier, get the bad out and get the routine correct. Then only do we move to the next step which is changing the percentages of the eating game. I often see people who eat 6-8 healthy meals a day then switch to a LCHF diet where they are still eating 6-8 meals a day. This can be a dangerous exercise, especially when I notice that most have upped their calorie intake from 1500-2000 a day all of a sudden to 3000 or higher. This is why habits and changes to the body need to be made gradually for optimum success. Another bad habit I see when it comes to eating correctly on a LCHF diet is that the amount of protein consumed is sometimes excessive. Let me tell you that over eating protein can cause issues, in an athlete it could cause muscle weight gain which is not optimal when you are talking about power to mass weight ratio for optimum performance. An over-consumption of protein also puts strain on the organs mainly kidneys and it’s really not the place you want find yourself in. The body building community and supporters of it have pushed this aside as a myth due to their advocating of excessive high protein diets, but then again a body builder does require a much higher protein diet than the average person. I also want to know which big body builders have really lived a very long healthy life with no issues. Very far and few between. The second thing is under eating protein, can lead to muscle loss, which is also a drop in performance. The protein intake of a person needs to be fairly specific based on the kind of exercise he or she does and it needs to fit in with the goal of what they are trying to achieve. Carbohydrates in the LCHF diet DO exist. Many people think it’s a complete cut, but there is no chance, they are very much part of this type of eating especially if you are an endurance athlete. Carbs are mainly in the form of healthy vegetables and grain based carbohydrates are pushed aside. However and this is something I advocate to many. To make a sudden switch from a grain based diet to a zero grain, protein fat diet overnight is hard. It’s best to introduce what I call carbohydrate type ingestion based on timing. I do suggest to endurance athletes that carbohydrate consumption in the form of grain based complex carbs needs to remain in place in the beginning especially for those training twice a day in order to ensure proper recovery post exercise. An Ironman athlete in training who depletes his glycogen levels in a hard session, will not be able to pick it up quick enough for later sessions and I have seen many athletes hit a fatigue cycle which is difficult to come out of. So I do stand firm that carbohydrate’s play a crucial role even in a low carb high fat nutrition plan, however it doesn’t mean that it needs to be excessive but it does need to be controlled. I suggest my preferred methodology of gradual carbohydrate depletion to find that optimal level of nutrient intake. This will completely vary from day to day depending on the kind of day, whether you are training, racing or resting. It also depends highly on the kind of training you are doing on that given day and that’s where carbohydrate timing and type come into play. As far as the fat content goes in LCHF, it plays a crucial role and the balance is not always easy to maintain. I always mention to people that in order to lose fat you need to learn how to eat fat, and this is so true. Food selections based on fat content have driven the industry for way too long. Sugar has become the most potent drug the food industry has ever produced and used. We now have the largest global rate of addicts worldwide. Marketing is a powerful tool which has changed the minds and opinions of many for way too long and I fully agree that the world needs to move back to basics, meaning food selection based on its most natural form. It’s so easy to make these kinds of selections if you really want to and no matter what kind of eating regime you adopt, natural food sources are best there can be no argument there. Educate yourself and learn to read the labels of food items on the shelves and in time you will find yourself making the healthier choices. When it comes to fat, who said low fat was better? The medical fraternities that blamed it on heart disease? The dietitians that adopted low fat diets to lose weight? The sad truth is that even if you don’t ingest fat, whatever you do ingest in the form of carbohydrates or proteins that are not utilized will convert to fat regardless. I like to use the example of the low fat yogurt which is low in fat, but sweetened with corn starch, oh wait that’s a complex carbohydrate, OK so I don’t have to add the word sugar on the label. Brilliant a low fat sugar free yogurt Unfortunately a low fat yogurt with corn starch or whatever other sweetener is used will of course get the excess fructose metabolized by the liver and converted to fat. What happened to the low fat yogurt well it turned out it wasn’t so low fat after all. Taking a high fat product is really the way to go for a variety of reasons. Firstly it satiates you far better and will not leave you feeling hungry afterwards causing you to overeat. Secondly fat is required for better breakdown of carbohydrates in the system and if I were to eat a boiled potatoe I would rather load it with a lot of nut butter to provide a better food combination for the digestive process. Many people worry about cholesterol when consuming fats however cholesterol plays an important part in every cell membrane. Cholesterol supports the brain and without it, the human body cannot produce certain hormones such as cortisol, oestrogen and testosterone. Cholesterol is needed to produce vitamin D which is one of the most lacking Vitamins in people globally these days regardless of sun exposure we just don’t get enough. 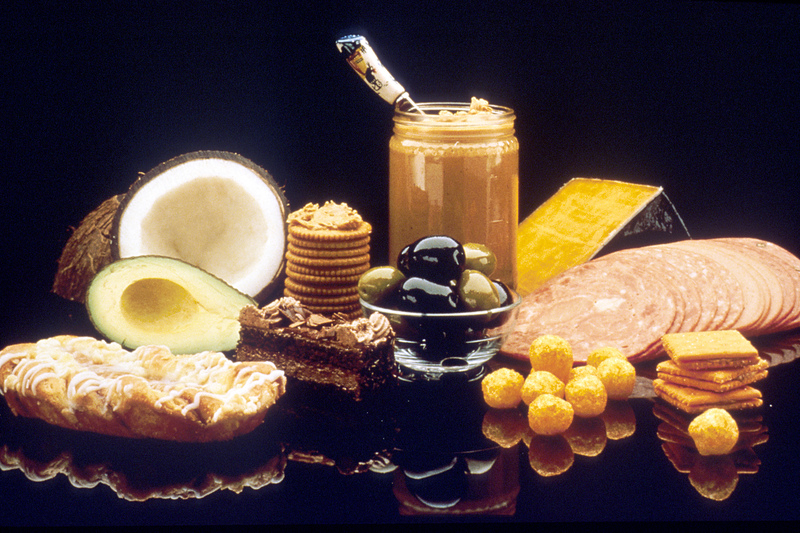 Across the globe the bad perceptions of saturated fats are disappearing. Major studies have failed to find proper evidence that reducing your intake of fats reduces your risk of heart disease or cancer. They have even failed to prove that consuming saturated fat is the reason for weight gain. Butter has also been shown to be one of the best sources of vitamin A which is known to protect against heart disease, help vision and support thyroid and adrenal gland function. Cholesterol-lowering spreads in all honesty need to be tossed in the trash! These well marketed goods contain plant sterols or stanols a naturally occurring compound that forms part of the cell structures in plants and have a similar structure to cholesterol in humans. They are said to be a healthier choice due to their lower saturated fat content. However the medical fraternity is not convinced at all that lowering the cholesterol in the blood is necessary for good health. Unfortunately plant sterols have also been linked to the body’s inability to absorb certain vitamins, such as vitamin E.
So now that we have discussed why fat is good, let’s talk about the low carb high fat eater who actually battles to lose weight but gains weight. It’s quite simple there are areas that are completely repetitive when it comes to observing the eating habits of people that stand out. It’s that simple. When you embark on an LCHF diet meal consumption actually is reduced. If I eat a high fat protein breakfast, it satiates my hunger for hours and I might not have my next meal until lunch time, meaning no mid-morning snack. Wait a minute but shouldn’t I be eating consistently and frequently. Well if you are on a low fat eating patter yes you will need to as hunger sets in a lot quicker. However on a higher fat diet not at all. You need to take into account that a gram of fat is 9 calories as opposed to 4 for protein and carbohydrates. Meaning that if you consume an excessive amount of fat too frequently your calorie consumption can land up being excessive. I have witnessed people going over 3000 calories a day due to this and it becomes a disappointment when trying to achieve certain results. The type of fats you consume are also important. I always advocate MCT’s (medium chain triglycerides) as brilliant fat to consume especially for an athlete, because these fats are not stored but utilized for energy. Take into account though if you are eating some blood glucose spiking carbs during a training session, the body will not be given a good enough reason to rid you of these nice fats that are waiting to be utilized So do yourself a favor and watch what you consume during training because you might be doing yourself a disservice to what you are consuming daily. Healthy fats such as Omega 3’s should definitely be consumed not in excess but sufficiently to provide your body with the nutrients it needs to function properly. Omega 6’s don’t always have a great name but there is absolutely nothing wrong with my favorites Spirulina (also an Omega 3 source) and Sesame Seed (tahini). You need to just take into account that when you eat fats the portion consumed should be carefully verified that in the term of calorie consumption it’s not in excess but within a decent daily allowance. As an athlete that has been consuming a low carb high fat diet for over 8 years now, the one thing I can honestly say is that calorie consumption on a daily basis for me has been only between 800-1800 calories on a given day. When I am consuming a lower fat diet my calorie consumption increases significantly due to the eating frequency cycles. Whichever route you decide to take, whether low carb high fat, low fat high carb, low carb/fat high protein, you need to be aware that there is a compete difference between all these types of nutrition regimes and requirements will be completely different. If you do attempt to bite the bullet and make a switch to a healthier form of eating understand what you are wanting to achieve, set yourself realistic expectations and let someone guide you to ensure you don’t set yourself up for failure. Interesting read. Man I wish I could get you to review my diet. I have hit a plateau. Brilliant. Hit the nail on the head !!! What an interesting article. Excellent!! !